the phrase “two a penny”. Comparable to a when a young child, with visions of one day becoming a world renowned chef, would perhaps start their journey by acquiring a wooden spoon and a Toque. Or someone with dreams of flying an airplane, would first study aviation and then pursue flying lessons. 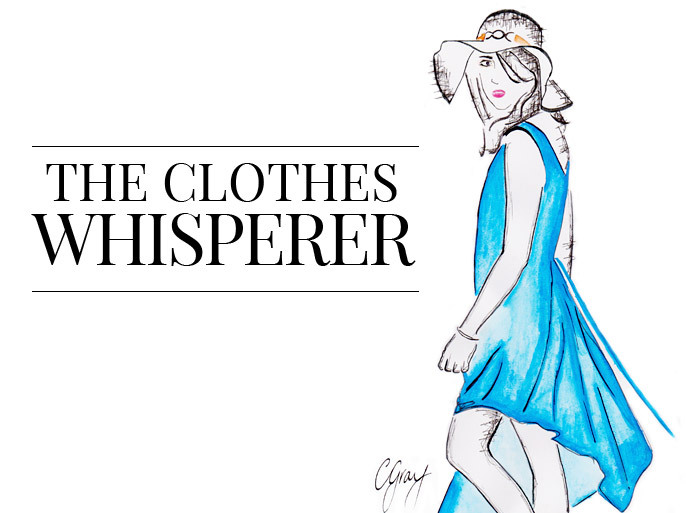 It seems the first port of call for young ladies harbouring the dream of working within the fashion industry and living a life fueled with amazing clothes, glamour and the possibility of rubbing shoulders with celebrities and notable fashion royalty, is the fashion blog. 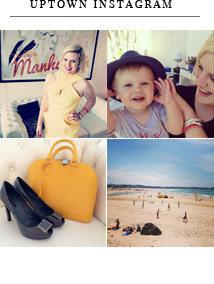 Both free and moderately easy to get up and running, the fashion blog seems like the logical place to start. But what of the true intention of the Blog and it’s owner? 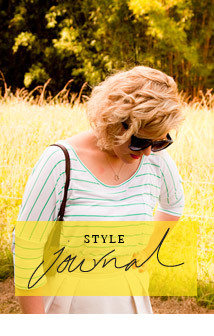 I believe most Fashion Blogs usually start out with the best of intentions. To be unique, inspiring and to put a personalised footprint on the ever evolving world of fashion is usually the common denominator. For me, a base to share opinions and sometimes debate with like minded people – with the same love for certain trends and brands – while learning about their world and being inspired by their outlook on fashion, is certainly one of the main facets of appeal. The other reason this platform is a true blessing for those like myself, whose “day to day” circle of influence do not necessarily share their love of fashion. Now we have an outlet to start dialog and appreciate topics with peers around the world – truly priceless. But what usually gets lost along the way?? Whereas a small amount of blogs who stick to an original agenda or an overall philosophy and gain with traction and time a following of loyal readers and networkers based on complete merit, the majority of blogs go down another route. I feel that this route is usually started by one of three common mistakes made early on. The first – the addiction of craving more “followers” than a hunger for genuinely connecting with others on your level. Secondly, the lack of creativity in the initial setup of the blog (not being unique or putting time and personalised thoughts into posts). And finally the inconsistency in both quality and quantity of posts. So what I have decided to do to coincide with the new design of Uptown Twirl (coming very soon) is once every week, highlight and report on fashion blogs I find from all over the world, that are unique; that do inspire; and do have that certain je ne sais quoi needed to stand head and shoulders above the standard blogs out there. The first 5-10 bloggers I report on in this section are probably going to be ones that you are well and truly familiar with and were amongst the first ones on the scene. 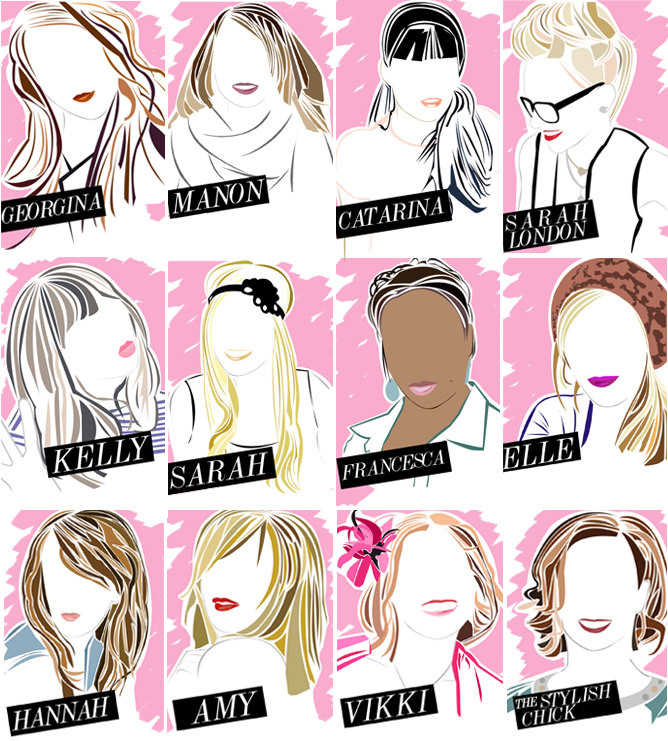 Now I know there are more than 5-10 people who should be credited with setting in motion the universe of “fashion blogs”; however, in my opinion these bloggers noted are responsible for inspiring thousands of men and women around the world to jump on the bandwagon and join the blogging community. So First-Up… I introduce to you…. 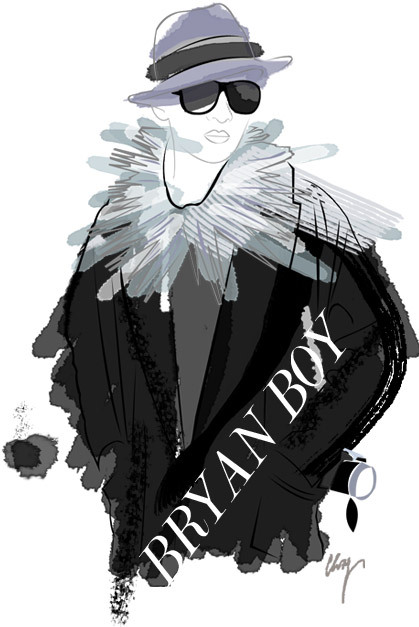 The majority of bloggers out there will label themselves a “Fashion Blogger” or a “Beauty Blogger” the second their blog goes live with its first post – but BryanBoy.com started in a slightly different way. Headed by the inimitable, sharp talking and fabulously flamboyant Bryan Grey-Yambao, BryanBoy.com was first started in October 2004 as a travel diary for an overseas trip to Russia for close friends and family to keep an eye on his whereabouts and travel experiences. The blog then evolved into an online diary which reported everything from inspirations, his social circle, drunken escapades and other life experiences. 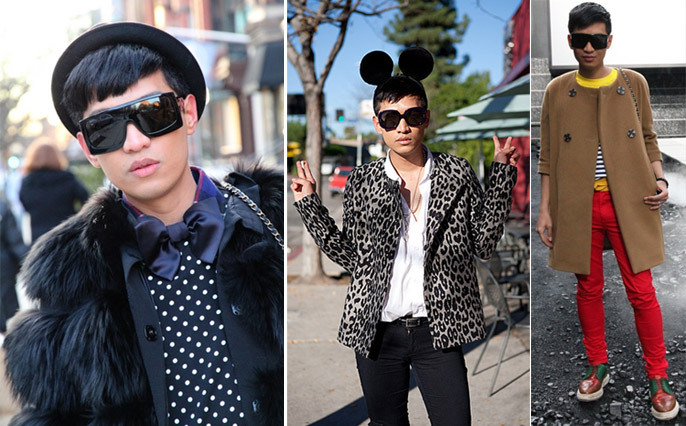 In truth, the DNA of BryanBoy.com hasn’t altered much. Bryan Boy still blogs about a lot of the same things as when he started, but with the blog now mainly concentrating on his adventure in the world of fashion. Considering he started out as a web designer with a travel blog back in 2004, this trend setting blogger not only rubs shoulders with the fashion elite, but also inspired world renowned Fashion Designer Marc Jacobs to name the “BB bag” in his admiration for the young “Thriller from Manila”. Always on the front row or thereabouts for every major fashion event held in fashion capitals – from Tokyo, Paris, New York and Milan – you would think this young trailblazer from the Philippines would almost certainly be more than pinching himself. But to be honest, Bryan Boy gives you the feeling that the recognition and place he holds in the fashion world is not only deserved but if he were to vacate, it would be left slightly hollow now. 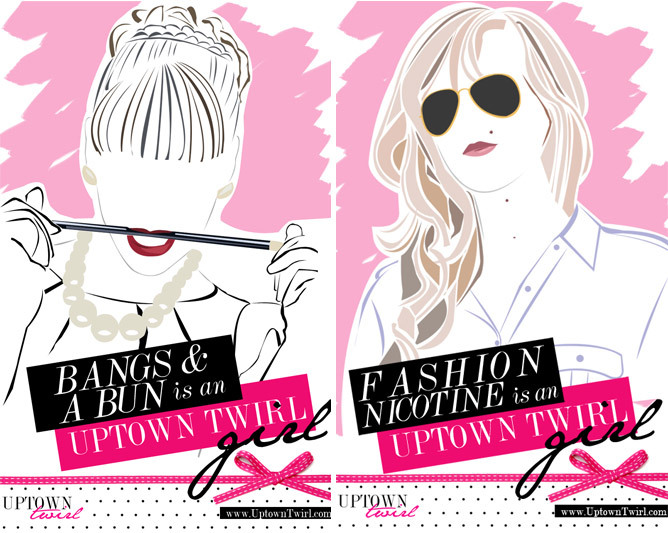 Are you an Uptown Twirl Girl or Boy? 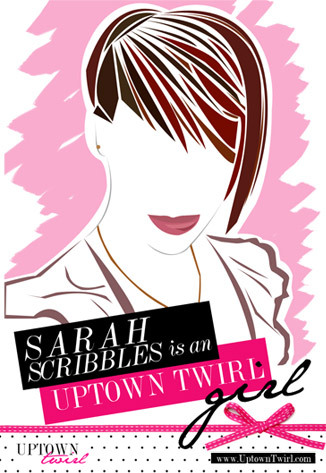 Now that I am in Australia for Christmas, I have had a chance to work on the Uptown Twirl artworks again and am excited to announce for the month of January I will be creating unique Uptown Twirl portraits for fashion and style bloggers!